"SMART" SYSTEM - Pre-programmed with universal tying tensions accessible through control panel. 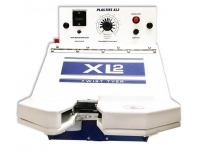 Capacity: Self-Adjusting from 1/2" to 4"
The XLS-4 Smart Tyer is a compact twist-tying machine built with the "smarts" to provide precision tying finishes to a wide variety of products. Featuring a programmable tie length and tension options, the versatility of the XLS-4 seamlessly adapts to any market. 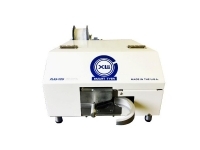 With a small footprint design and quiet 110V operation, this machine is the perfect fit for any automated or stand-alone workstation. The user friendly operation and PLC board simplifies tech support maintenance. With a variety of twist tie material options, the XLS-4 will accommodate industrial to decorative twist ties supplied with genuine Plas-Ties spools. Several businesses have a workflow system in operation and require our XLS-4 machines to fully assimilate into their existing floorplan. Using the Vertical Configuration assembly coupled with the pedestal stand, each employee can incorporate an XLS-4 tying solution directly into their existing production line. Maximum bundling efficiency can be achieved through the standard horizontal configuration. Allocating a space on the workbench or table is a typical method for production. Other companies have chosen to automate the bundling process and install the XLS-4 directly into their production line. 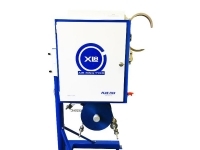 The XLS-4 Smart Tyer is a 110V machine that twist ties products inserted into the ring shaped tying area. 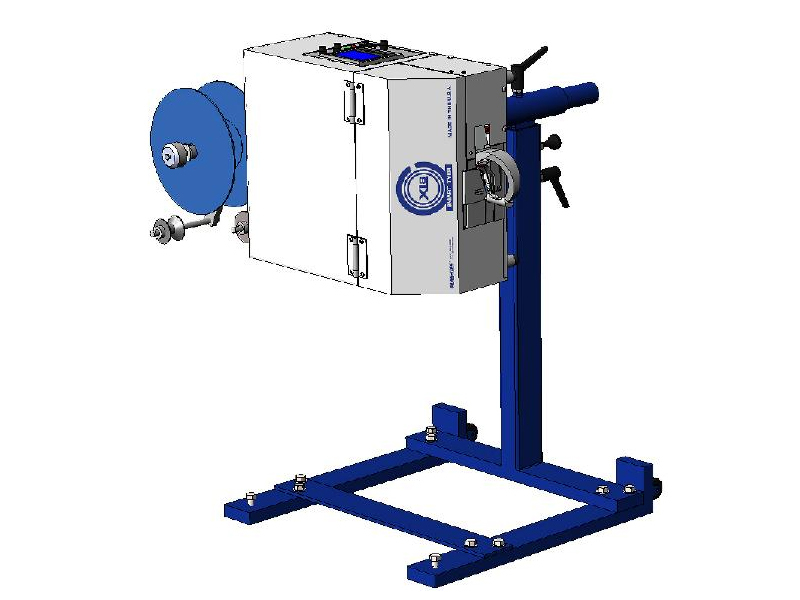 The machine can be adjusted to tie almost any product gathered into a round or nearly round shape from 1/2 inch diameter up to a maximum of 4-inch diameter. The on-board PLC allows for pre-programming of tying tensions and number of twists, along with progressive features for an automated system integration. Plas-Ties’ believes safeguarding employees is an ongoing investment in our machines and regularly updates proper security features. The XLS-4 has several safety features to maximize user activity. The Safety Trigger with Secondary Guard provides a safe zone for maximum product bundling with minimal risk of abrasion. The Target Indicator highlights the ideal product placement for optimal tie speed and bundling. 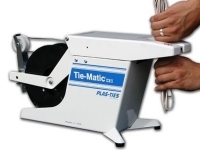 Plas-Ties’ understands that safety and maximum productivity, are primary to any business. Therefore, Factory Training for your staff can be provided and customized to your needs and budget. 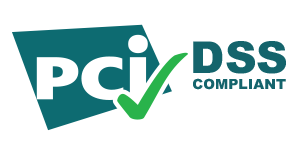 Technical Support is continually provided using online manuals, videos and phone support. If parts are required, our sizeable inventory can allow for next-day domestic delivery. Dependent on your workstation requirements, the Vertical or Horizontal Brake will be supplied. A secondary option is the industrial cart with wheels which allows for easy placement of the XLS-4 for optimal workplace flow and employee satisfaction. With the wide variety of tying options and automation capabilities, the XLS-4 is the perfect choice for twist tying several different applications. Because of the self-adjusting versatility, the XLS-4 is an excellent choice for twist tying: hoses, cords, cables, produce and vines. Several industries related to communications, hardware and agriculture will benefit from the speed and adaptability of the XLS-4.